"K" Day @ Oak Grove Primary! It wasn’t but ONE day after Christmas, and fresh ideas were stirring for the new year! Introducing the Acrylic Collection! This collection is special to me because each piece is a unique extension of work from recent painting series. 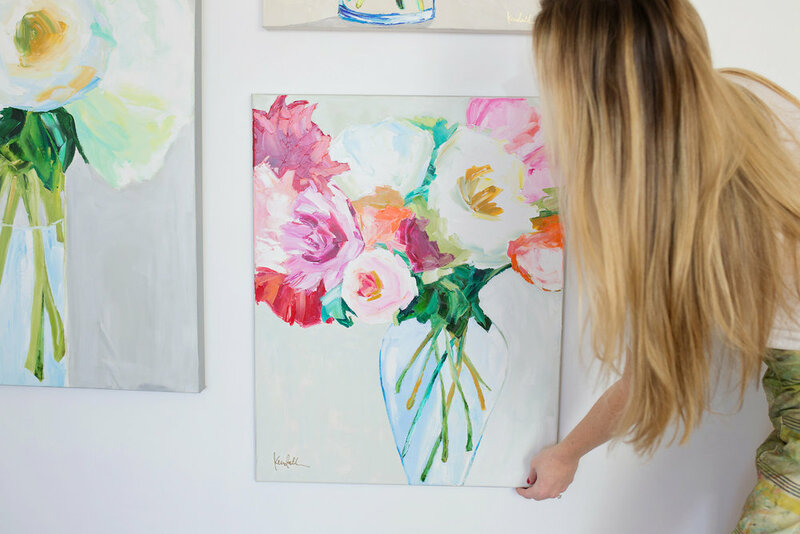 These acrylics are a cool and different way to style artwork - art that’s not just for the walls! The Acrylic Art Display Box is a lucite box with my floral art print in the top! It is perfect to keep jewelry, photos, keepsakes, recipe cards, or to use as a coffee table decoration! There are two different floral design options featured to choose from. 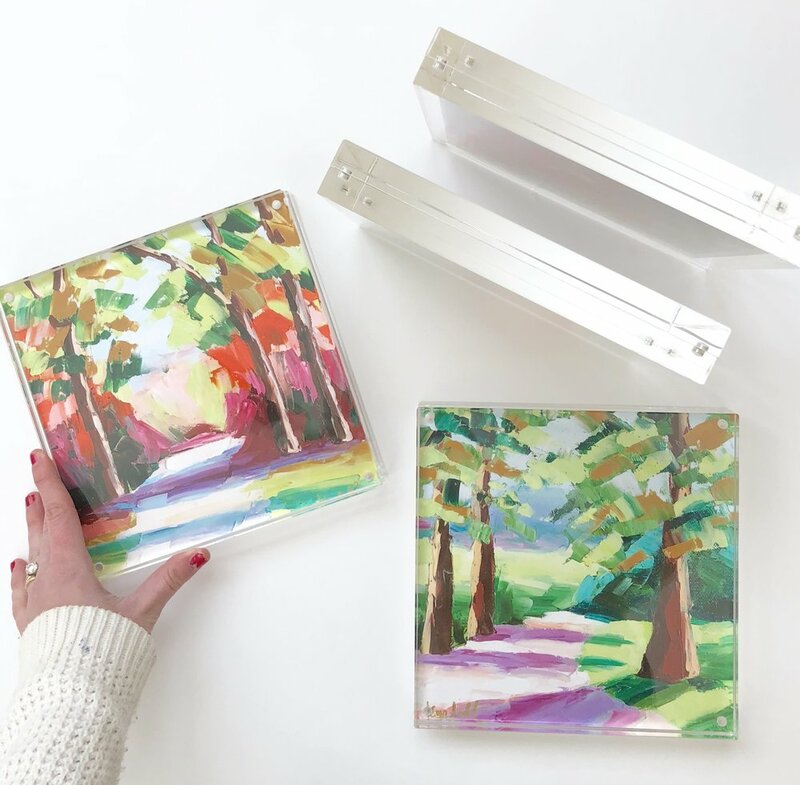 The Acrylic Framed Landscapes come in three different options set in heavy 8x8 thick frames and are a fun way to stand a piece of art anywhere - on an entryway chest, bookshelf, kitchen counter, bedside table, etc. etc.! This collection goes live on Friday, January 25th at 10:00am cst! I’m so excited to finally share these with you and see how you style them! During the week of December 3rd-7th, I will be adding all new Christmas pieces to my website each morning at 10:00 AM! Each day there will be something brand new. Here’s the schedule! Also, if you’re in Jackson, come join jewelry designer KK Buteau and me for a Christmas show to see it all in person on Thursday, November 29th prior to the online launch! We would love to see you! *Drinks & apps to enjoy! 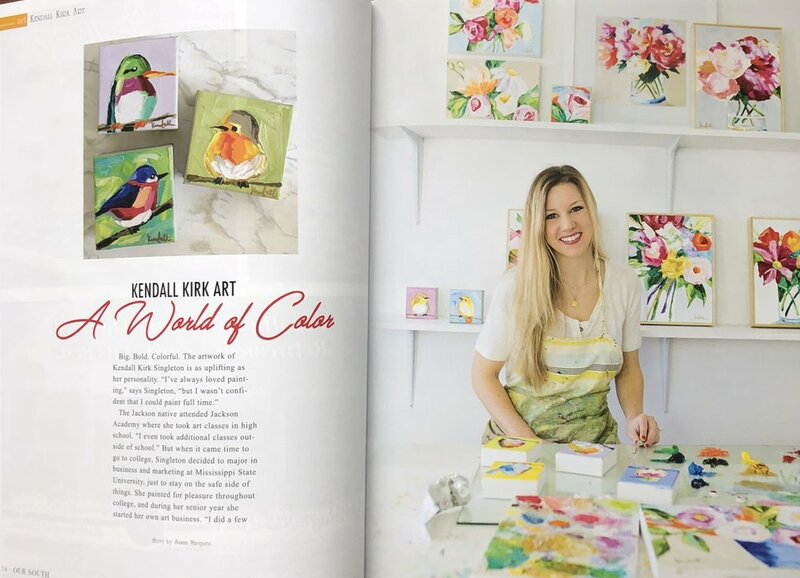 So cool to see my ‘Cotton Candy Coast’ painting on the cover of Haute Finds South Walton’s fall issue! 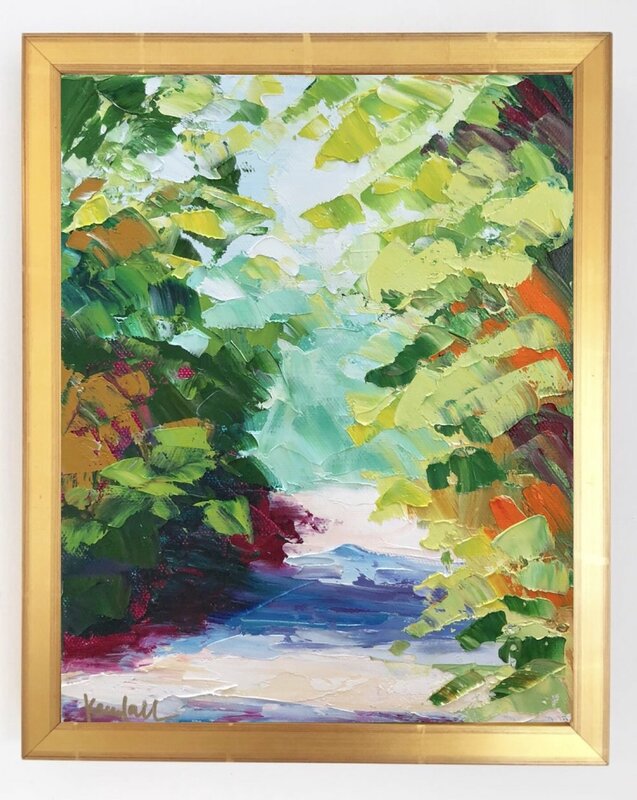 I’ve been working on 15 new paintings of colorful fall landscapes that will be released here on my site September 20th! *With the option to add a custom gold frame! I have just restocked my print shop and added two new options! All are giclee prints on high quality archival paper that are standard sizes 11x14 and 12x12 ready to frame! Shop HERE. 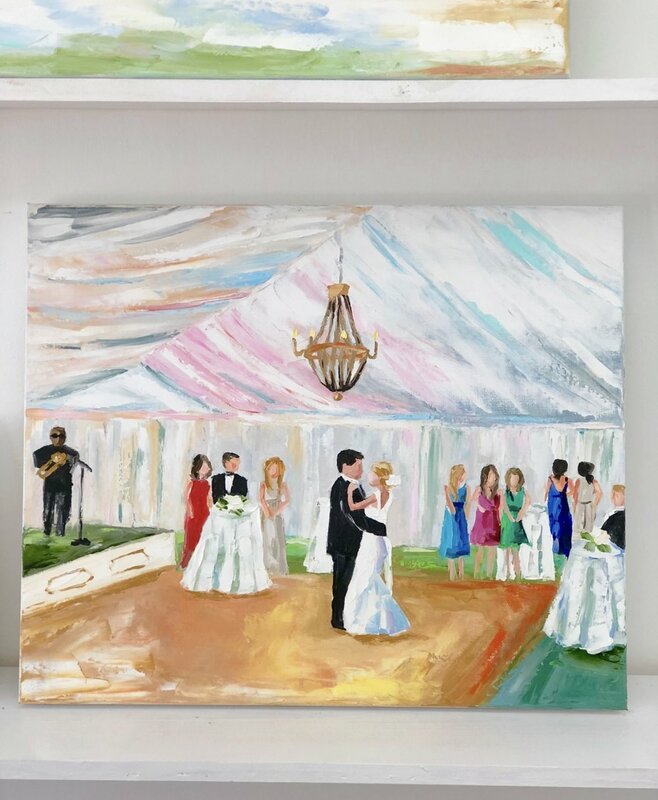 Here is another recent live wedding I was hired to paint! New abstract paper pieces will be online tomorrow at 10:00 am! Abstract is a challenge because there isn't anything to refer to! 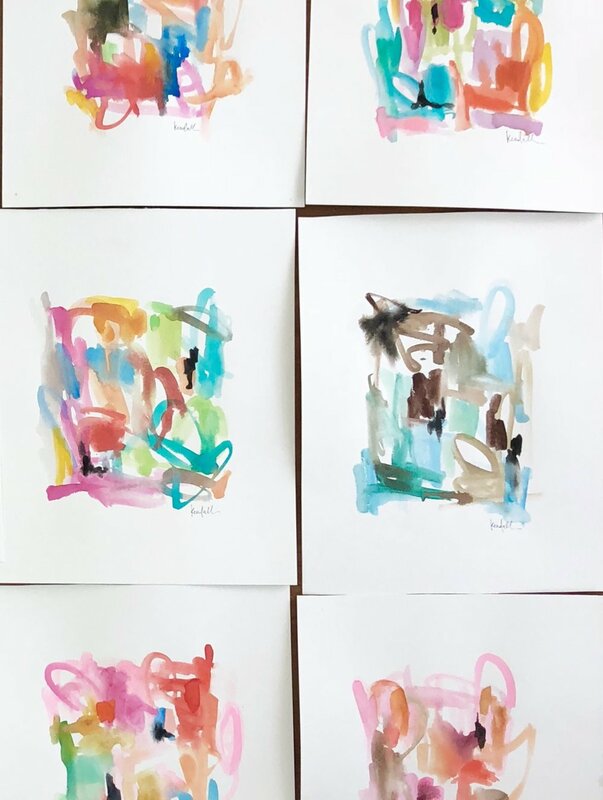 Although abstract is out of my comfort zone, working with bold color is not :) Along the way I tossed several out and ended up keeping only the ones that felt truly balanced. 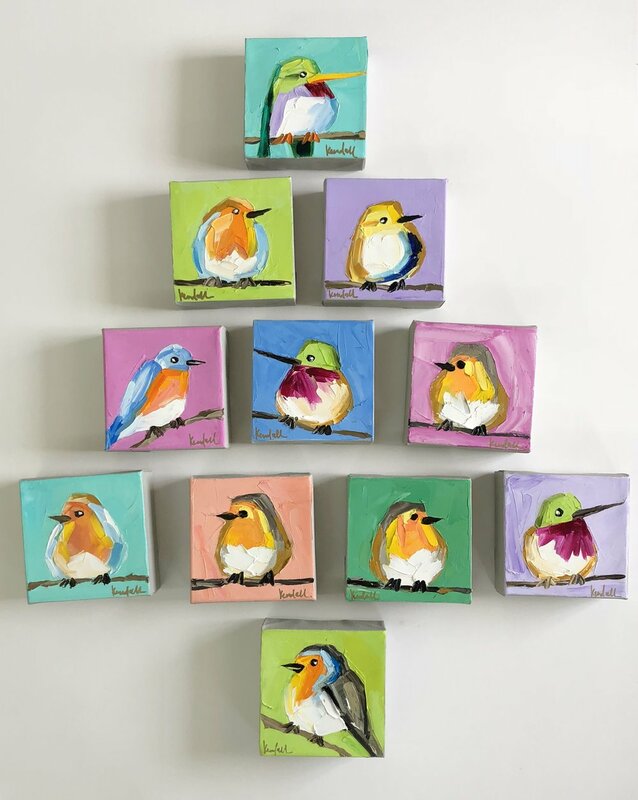 Working on these on a small scale was really fun, and framing one or several as a group can add a pop of color to any space! 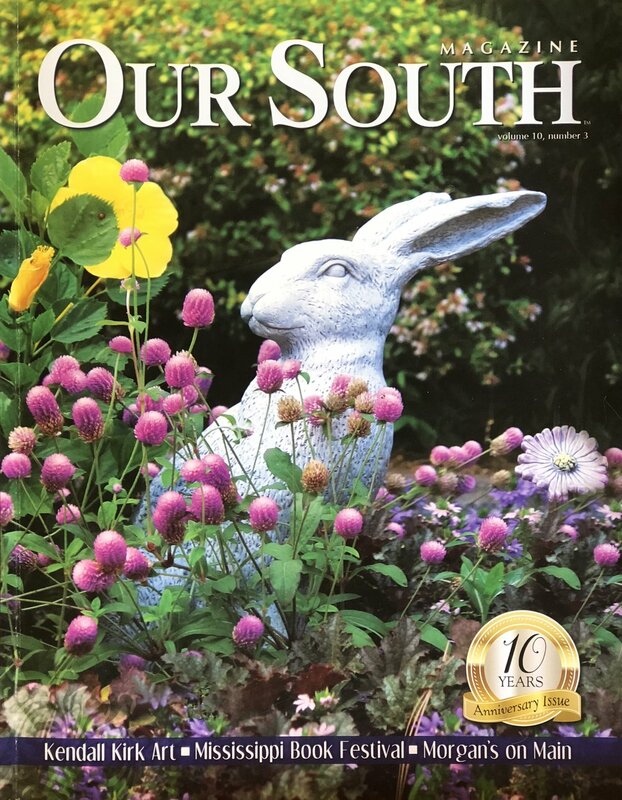 So appreciative of Our South magazine for featuring me in their summer issue! Here are a few pictures from LA Green 30A yesterday! I loved getting to show in such a beautiful place! 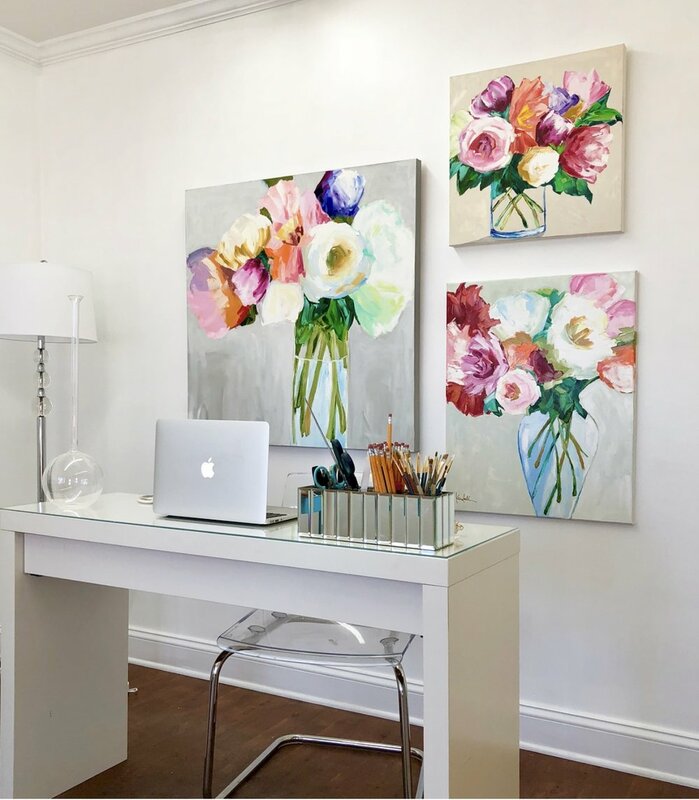 I call these wildflower paintings because the arrangements are very wild & free! The most fun parts about these to me are all of the colorful loose details that spread all over the canvas. 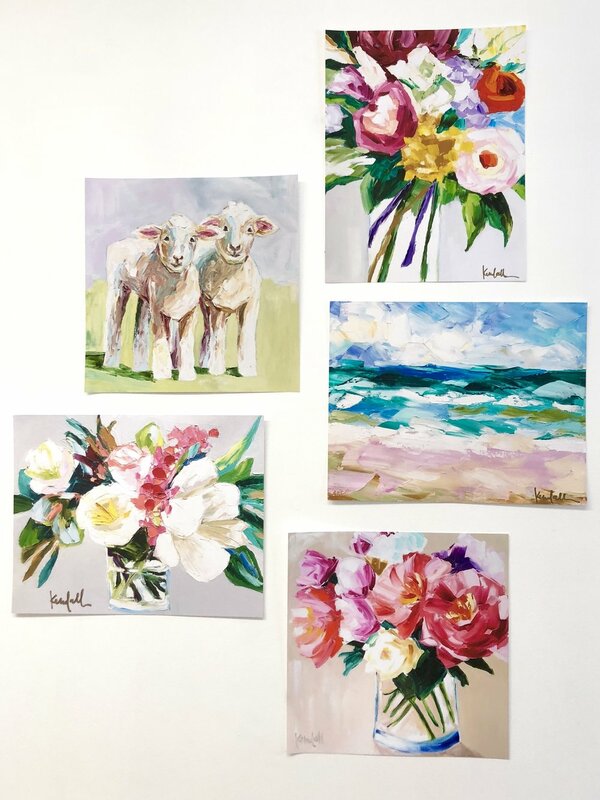 This mini summer collection is now available at Courtney Peters Interior Design in Jackson, and each one is framed! 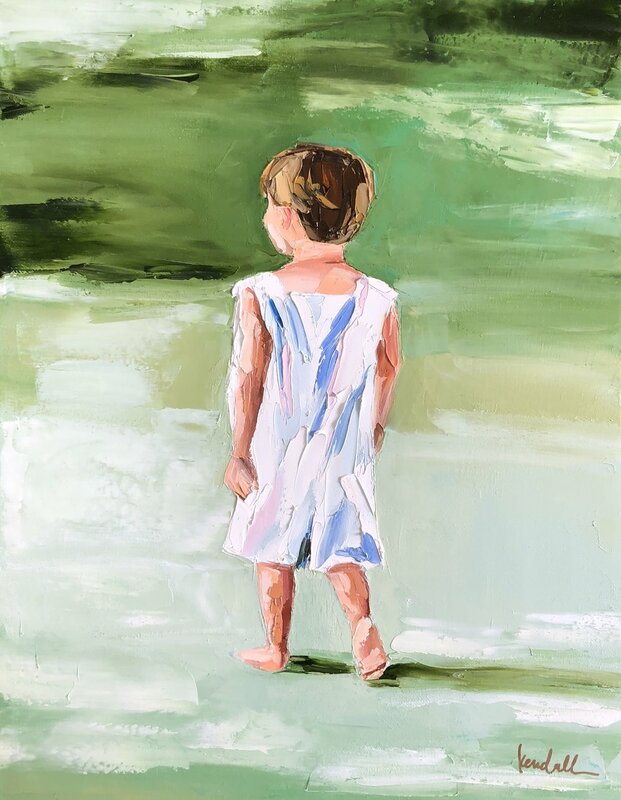 Visit the contact page of my site to inquire about purchasing, or visit her studio: 4429 Old Canton Road Jackson, MS 39211. 20 new original birdies will be available online tomorrow, May 24th at 10:00 AM! 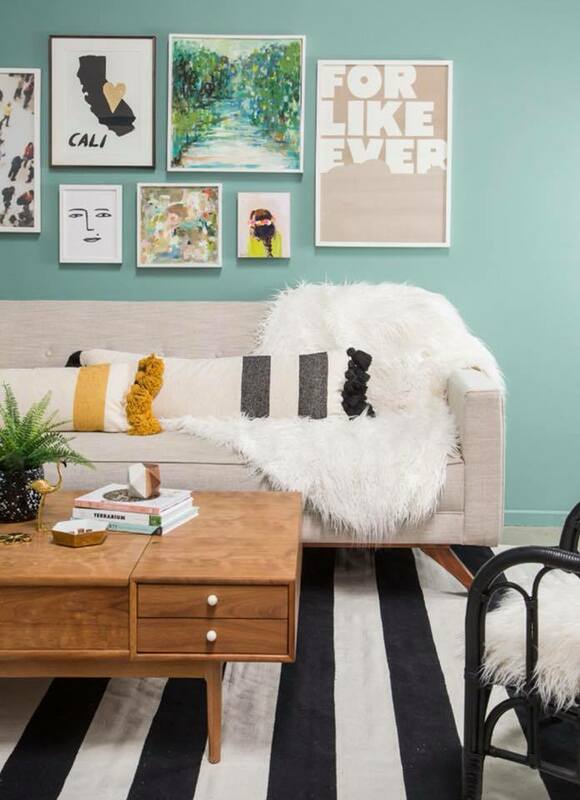 Perfect for playing mix and match with! Lots of kids in the studio these past few weeks! These have been so much fun. S T U D I O // O P E N I N G ! Thank you to who all who came out to the studio opening last week! It was a blast, and I love having this place in my new town. Also thank you to the out-of-town folks who purchased new work off of my website the next day! I feel so thankful and am so excited for all the fun times to come here! 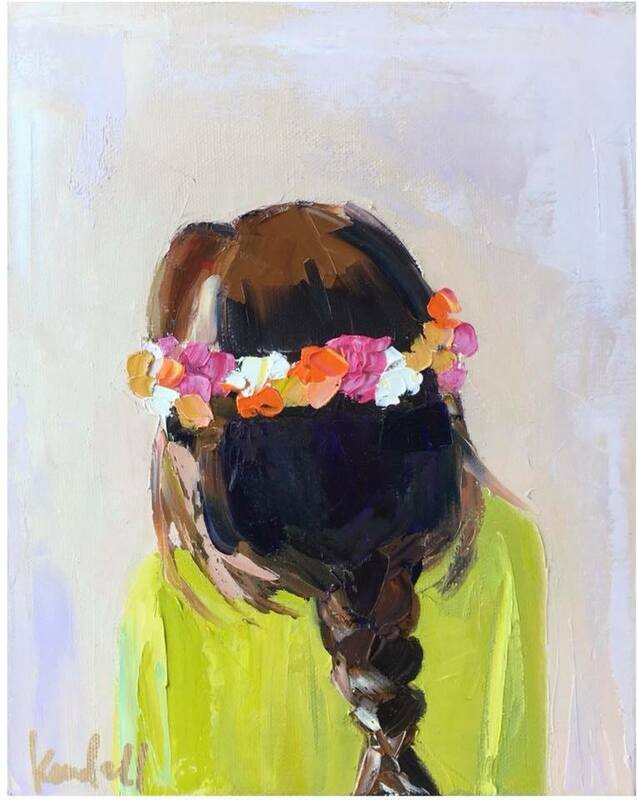 'Flower Crown V' Featured on Oh Joy! 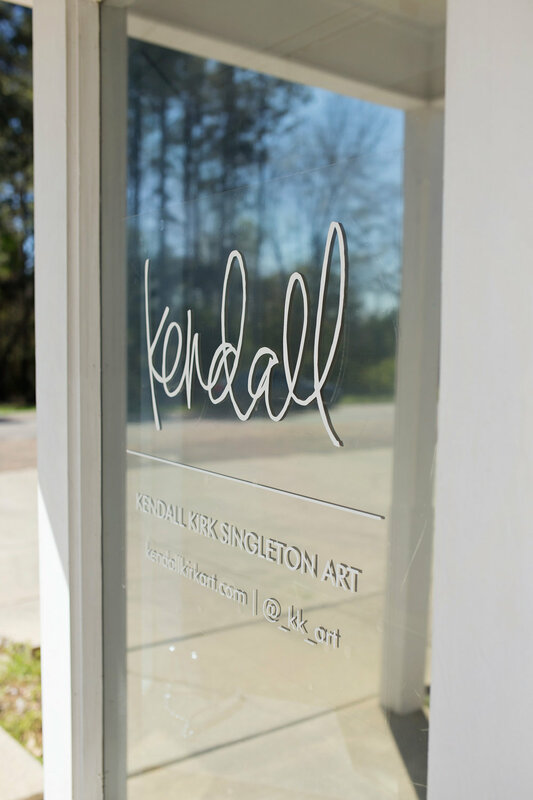 I am beyond excited to have found this new studio in my new hometown of Hattiesburg, Mississippi. 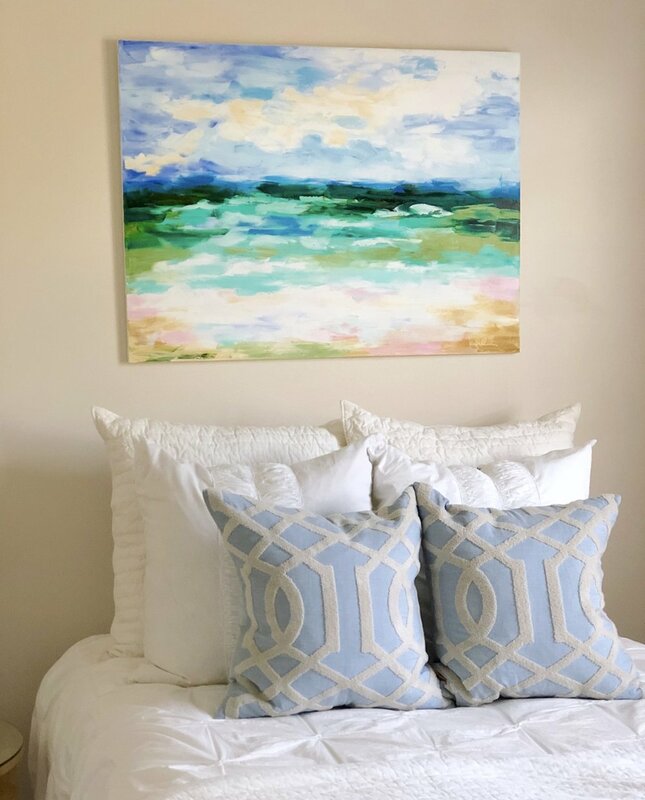 It is an answered prayer for sure, and I have worked on re-doing this space and brand new paintings since I officially moved in at the beginning of this year! 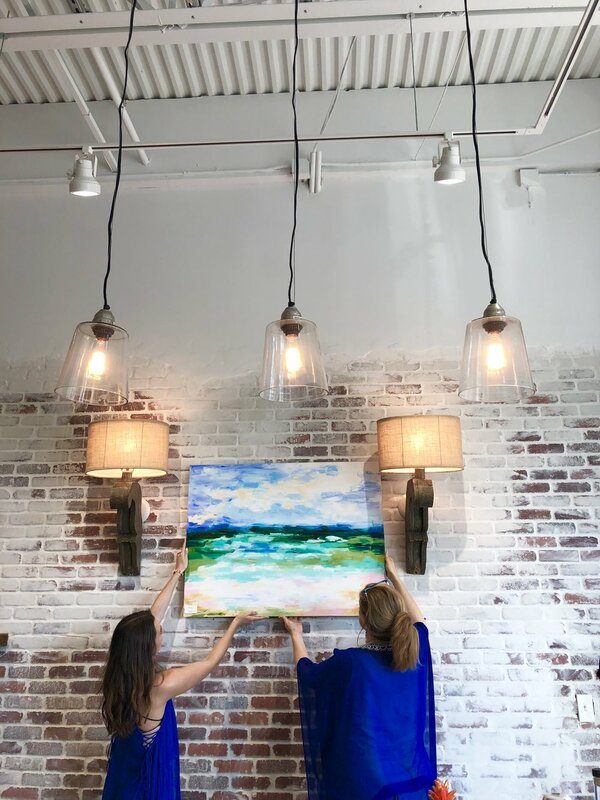 I would love for you to come and enjoy some new art along with appetizers, desserts and drinks next Thursday evening to celebrate! I can't wait!